Book Day is just around the corner and if you're looking for a great costume idea, then get some inspiration from the all time classic by Roald Dahl - Charlie and the Chocolate Factory. 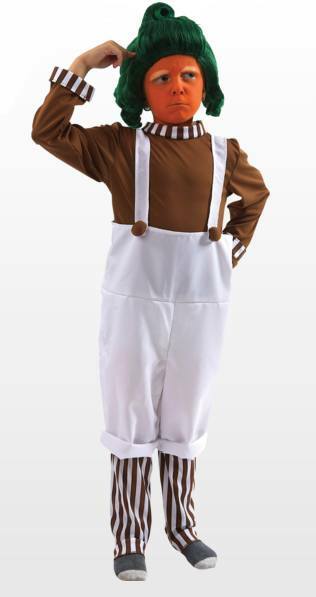 Kids are the perfect height to carry it off, so this Childrens Oompa Loompa Fancy Dress Costume would be a great choice! This kid sized outfit includes a pair of white dungarees with feature buttons, a long-sleeved brown top with brown and white stripes around the neckline and the cuffs, a pair of brown and white striped leg pieces and a green character wig.